We help reduce academic frustration. We empower, motivate, encourage, and guide. Educational Resource Center of Livingston, owned and directed by Laurie M. Levy, is a full-service educational facility that gives students the tools to take responsibility for their own learning and achieve academic success. Founded by Levy in 1982, ERC and its staff of dedicated educators have been helping students of all ages recognize and realize their potential for more than 30 years. We strive to empower our students by providing instruction that matches their individual needs and learning style, in a relaxed, positive and nurturing environment. 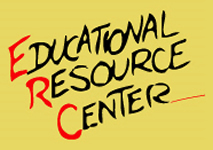 The Educational Resource Center understands that each student is unique, with distinctive personal strengths and weaknesses. Programs are tailored to enhance each student's abilities and learning style. ERC educators stress the importance of understanding rather than memorization. Under one roof, students of all ages and skill levels receive services that include: remediation of specific learning disabilities, subject area tutoring, study skills, enrichment, standardized test prep (SSAT, ISEE, COOP, PSAT, SAT I, SAT II, ACT, AP Exams, GRE), as well as college guidance and comprehensive educational and intellectual evaluations. At Educational Resource Center, students take pride in their individual accomplishments and discover their unlimited potential. We offer group and private tutoring services, test prep and college guidance in Essex, Morris, Union and other surrounding counties and towns including Livingston, Millburn, Short Hills, Roseland, Caldwell, Summit, Montclair, E. Hanover, Morristown, Florham Park and other towns throughout New Jersey. Provides a personalized and sensitive approach to college guidance. We help make this journey productive and fulfilling for students and their parents by giving them the information, tools and skills they need to succeed in the college admission process. Certified Learning Consultants and Psychologists provide Educational and Intellectual Evaluations. Individualized plans of remediation, accommodations and intervention will be recommended based on diagnostic results. Learning specialists provide remediation for a wide range of learning differences such as Dyslexia, Non-Verbal Learning Disability, Attention Deficit Disorder and Language Based Learning Differences. Finding the right college may seem daunting – let ERC’s College Advisory Service guide you every step of the way. We help make this journey productive and fulfilling. CAS provides a personalized and sensitive approach to college guidance.